Like the 360 before it, the F430 has a pair of plunger switches fitted to the A-pillars. These switches activate when a door is opened and control the courtesy lights as well as being an input into the alarm system. Unlike the 360, the F430 switches are fitted into a plastic shroud which then fits into the chassis (the 360 switch fits directly in the hole). Over time the shroud will become brittle and is certain to break. 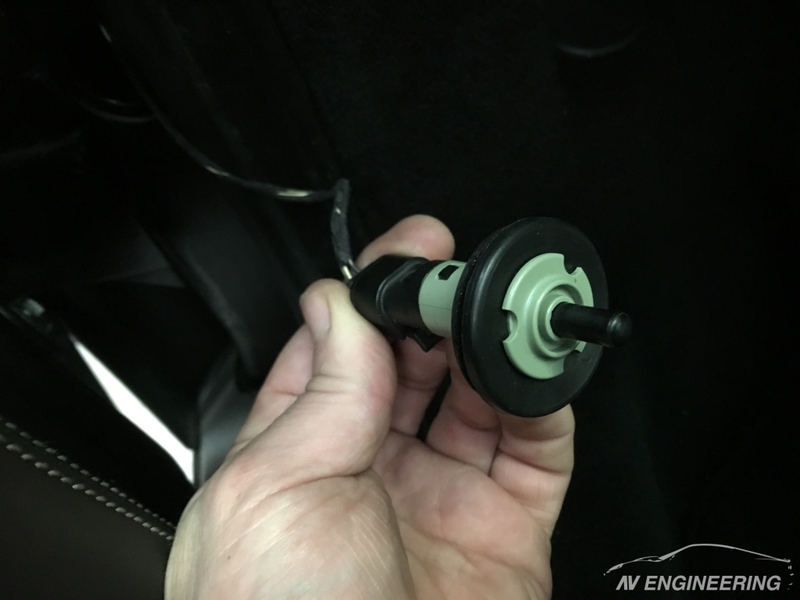 This usually allows the switch to fall inside the A-pillar where it continually warns the car of an open door. Symptoms of this happening are sudden battery drain (as the courtesy lights are constantly lit) and the alarm chirping when armed (as it thinks a door is open). In the picture below you can see that the shroud is missing and the switch was free to fall back into the hole. 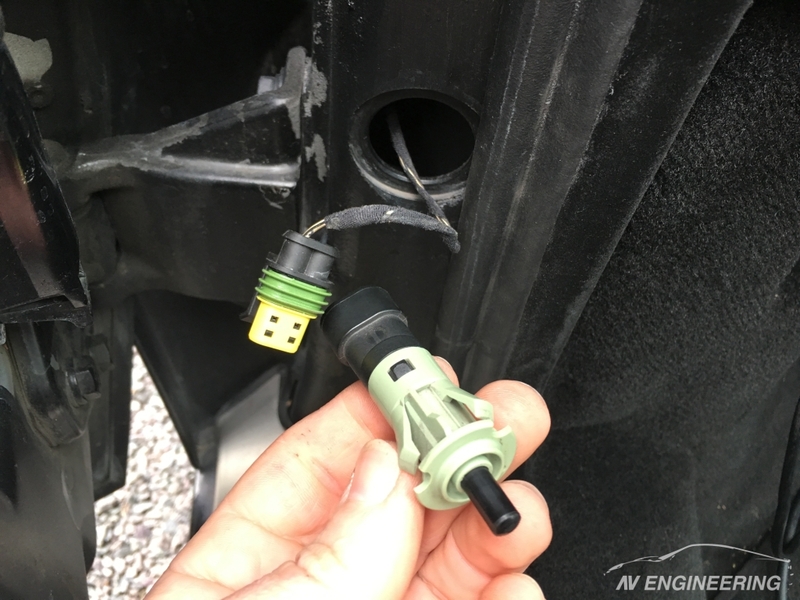 A temporary fix is to disconnect the switch and poke the wire into the chassis hole – this will fool the car into thinking the door is always closed. The shroud part number is 68917600 and they are still available to buy (unlike the switches themselves which are NLA). However the material and design of the shroud simply isn’t up to the job of holding this switch in place with the door pressed against it. 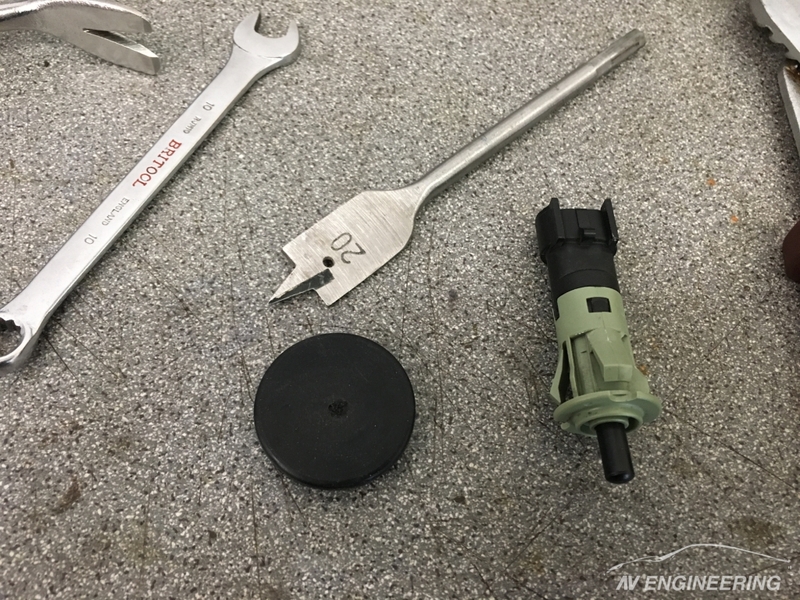 My solution is simple and cheap – I use a thick blanking grommet for a panel hole of 29mm, drill a 20mm hole into the grommet and use this to hold the switch in place. The thick rubber grommets I have sourced are more than adequate to do the job. 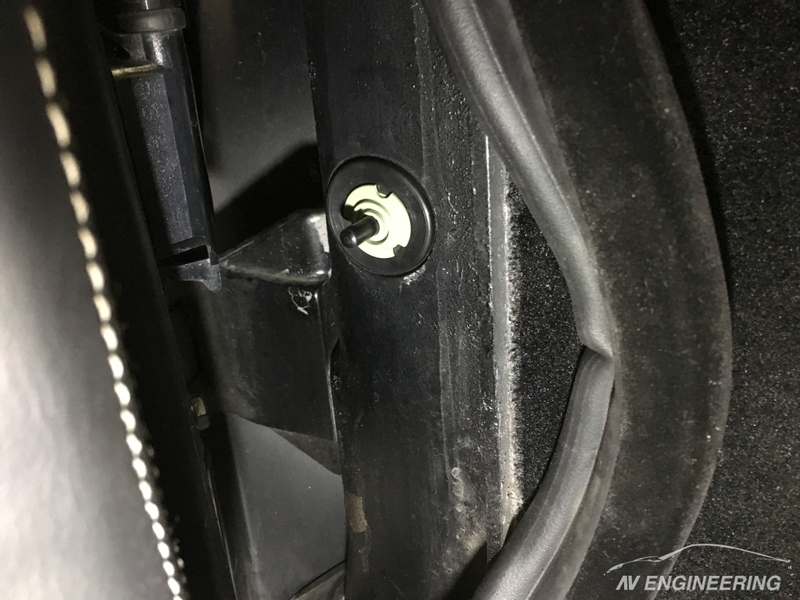 A final note on switches – there is an additional microswitch in the door lock that tells the Alzacristalli (electric windows) ECU if the door is closed. This switch tells the ECU that the door is latched and that it is safe to raise the window.